OB Rag artist John Lyons created this in May 1973. 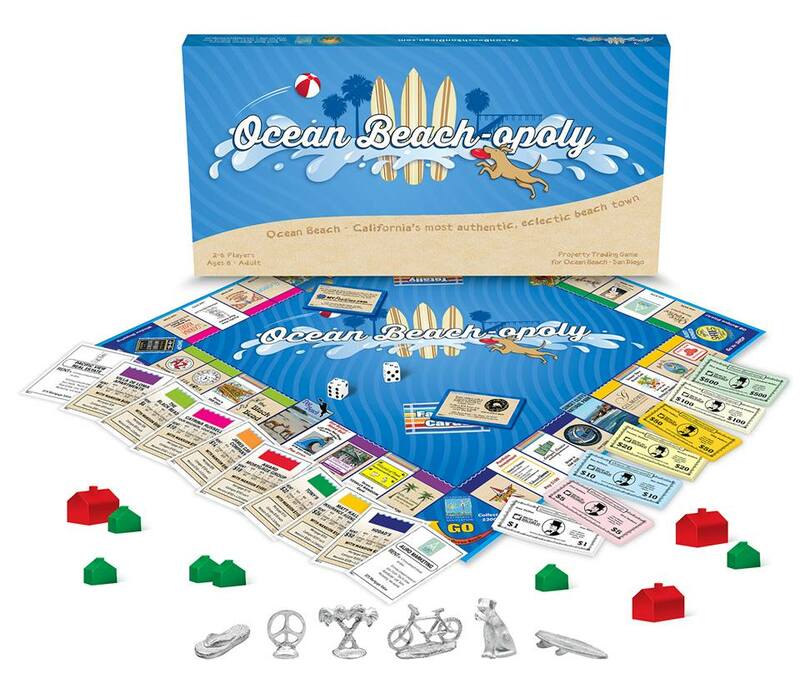 On New Year’s Eve, we gathered at a good friend’s house and played the latest OB board game, “Ocean Beach-opoly” an OB version of the famed grandparent of all board games. 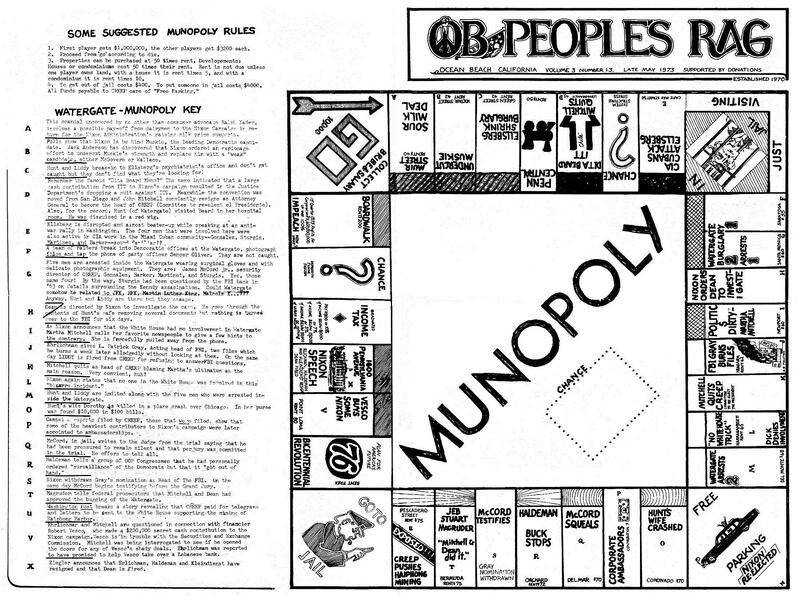 Later, I realized, hey, the OB Rag once ran a cover graphic way back in the Seventies with the first actual “OB Monopoly game board”. Nearly exactly 40 years ago, our version was on display. It was in late May of 1973 and Richard Nixon was in crisis – he resigned over a year later on the eve of his impeachment. 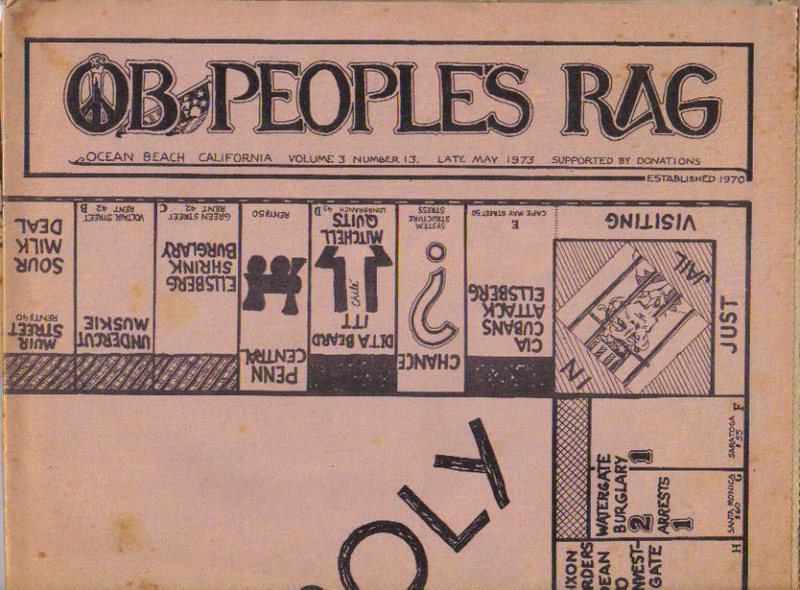 As one of the editors of the print version of the original OB Rag, I asked our in-house artist John Lyons if he could come up with a Monopoly board using OB and the backdrop of Nixon’s problems, and at the same time, adding a little of the then current history of his unfolding catastrophic situation unleashed by the arrest of the Watergate burglars. Lyons’ artistic and intellectual genius came through with his “Munopoly” board and we printed his version as the cover of the Rag (we were printing twice a month back then). I don’t know if anyone ever played it but he also added “Rules” and a “Watergate Key”. Back in the 1970’s, it was “cut and paste” style – often the line tape unraveled during the lay-out process. For more OB Rag covers (you can order your own original copies for a donation) go here. 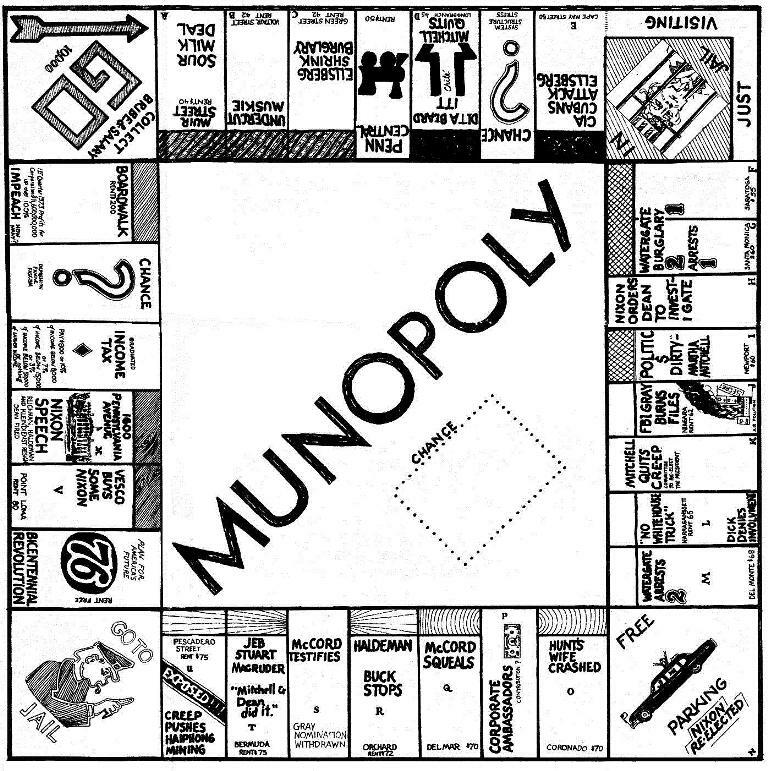 Doubtless, the new version of OB Monopoly is probably more fun to play. The former OB Rag artist John Lyons spends half his days in Golden Hill and the other half in Iceland these days. That’s awesome! Let’s charge 40 bucks for it. I think I like the earlier version best. I’m amazed and glad that you remembered it.